The truth is out there - and it's watching us. Eighth grader Ted's 2 best friends are obsessed. Colby is girl crazy and although it irks Ted, he knows the infection is spreading to him. Zach is fixated on legends of all sorts - ghost, aliens, phenomena and cryptids. When Ellie invites the boys to her grandmother's campgrounds in the mountains, the guys decide to make an adventure out of it and hunt for Bigfoot. Ted thinks it's all in good fun and when they fail to find the elusive beast, it finds him and in the nick time. Colby’s head snapped back from the force of Edgar’s blow. Who teaches bullies to fight anyway? Or are they born with the innate knowledge? Are people predestined to be menaces? If they are, Edgar is definitely in that group. He didn’t swing his punch in a lower to upper arc. He pulled his balled up right fist level with his head, drew it straight back and thrust in a linear vector at Colby’s chin. Dancing around on his left foot, Edgar swung his right, kicking Colby square in the chest. He fell back and down – winded from the impact. Let me stop here for a minute. Colby is one of my two best friends and the coolest kid in school. For the record, we were friends before coolness was a factor. And if you think being popular is generated because you follow the crowd you’re mistaken. He’s a free spirit if not a “tad wild” and a natural born leader. Being that he started kindergarten late, he is the oldest kid in eighth grade and one of the tallest. He hit a growth spurt last summer and is thinner than ever but hardly wimpy. His dark brown hair is straight and never trimmed. If anyone could stand up to Edgar, it was Colby, but it wasn’t going to be without a beating. Edgar closed in for the kill but Colby flung his legs and knocked his attacker flat buying him needed time to recoup. “What are you just watching for? 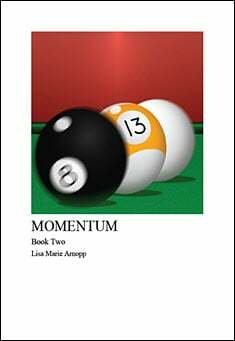 Get them.” Edgar commanded his buddies as he hustled to regain control. It was five of them against three of us and unless you really stink at math, you get that we weren’t going to walk away unscathed. One of Edgar’s cronies helped with Colby, the other three made their way for Zach and me. Zach, by the way, is my other best friend. Of the three of us, he is the shortest and the roundest but most of the chub is in his face. His hair matches Colby’s color but it’s very curly. He calls it a Jew-fro. Mom says I can’t do the same because someone could think it’s racist. Like I would hate a certain group when one of my favorite people ever was one of them. Seeing we were out of options, Zach crouched down and shouldered the beefiest of our oppressors in the gut. Using his hold around the guy’s midsection, Zach mule-kicked the skinniest into a tree. Slim was out for a while and that left the fat one for me. I’m Ted and I’m the average of the two in height, weight and waviness but my hair and eyes are lighter brown than theirs. And other than play fights we occasionally had, I was without any true warring experience. Tiny, as I dubbed the last brute, rushed me. His blubbery middle undulated from the motion and there was no doubt it was going to smart once contact was made. SMACK. It hurt and before I knew it I was pinned under the behemoth as he shoved my face into the lawn. If you’ve heard the expression “eat dirt” – this is what it means.